The newly developed ProfiJoint entry model uses the same technology as the “big ones”. A wise investment with an outstanding cost-performance ratio. 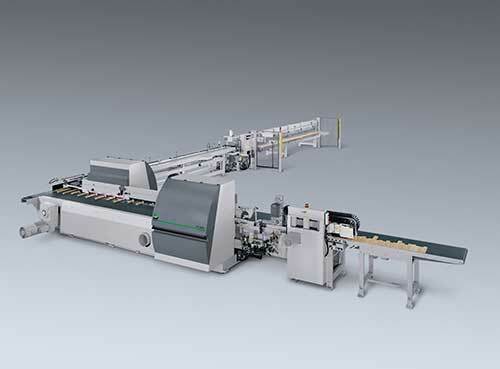 Due to the modular design, the line can be upgraded to a shaper combination. Just one of the many plus points, including the quick return it offers. 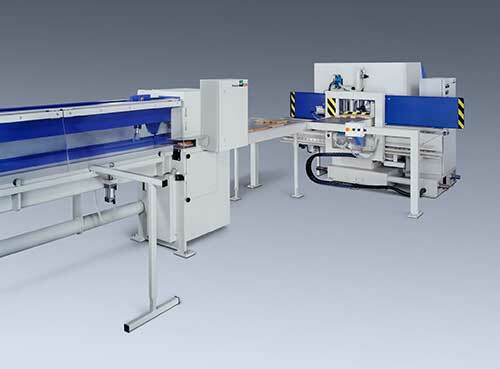 This production line can process wood widths up to 150 (170) mm, wood thicknesses up to 50 (80) mm and wood entry lengths between 150 and 700 mm without any problems. The cast iron body reduces vibrations in the area where the precision of the finger jointing is paramount. And not forgetting the tool technology: Regardless of whether you are marking vertically or horizontally with pre-scorers, the ProfiJoint range uses the same equipment as the high performance models. High-performance components such as fully-automatic feeding and front end control can also be integrated. Wood that does not meet specific quality criteria can be excluded from further processing without being glued. Tool systems with varying diameters of 228.6 to 266.7 mm or 9 to 10 ½ inches can be run.